To construct a rural hotel and separate house to live In 2005 we left our stressful jobs in the UK to start a dream. We had travelled extensively from the Americas to New Zealand trying to find the perfect place to live. 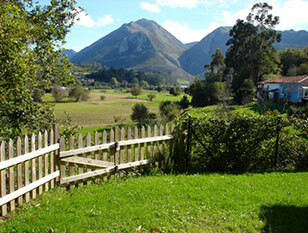 We had read about Northern Spain in the past and found Miriam's website (www.asturian-property.com) very enticing! Asturias and the properties she had for sale looked amazing (and so did the prices! ), so we went to have a look. We met Miriam and I was very relieved to find she spoke perfect English! We explained we were looking for some land to build 2 houses... one small rural hotel and the other a separate house in which to live. This was not going to be easy to find but Miriam obviously knew the area extremely well and had very good contacts with all the estate agents. After several months of searching we eventually found the perfect spot with beautiful views over the mountains and only five minutes from Ribadesella and one of the best sandy beaches in Asturias. Miriam handled the whole purchase expertly and her knowledge of the local market really made a big difference. Buying land or property anywhere in the world can be a tricky process and I would strongly recommend you get professional help from someone that knows the local market very well and can converse with you in English. This makes your purchase a pleasure rather than a nightmare! 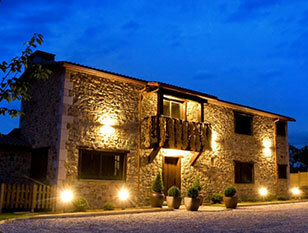 Three years on we built two beautiful Asturian houses, one of which we run as a hotel. 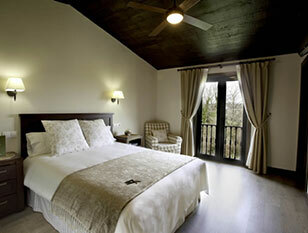 It has been built the traditional way from stone and reclaimed wood and has wonderful field and mountain views. We also wanted to offer people an opportunity to have Massages, Reiki healings, Meditation and Yoga, so we built a private treatment area. Comfortable high quality accommodation was very important to us so we used very tasteful high quality fittings and furnishings (my wife is a great designer!) in the hope people have a relaxing and enjoyable stay. Not forgetting of course the selected Rioja's and Cava's in the room mini bars! Thanks again to Miriam - her professional and attentive service made purchasing this land a real pleasure.